Innova - Work Hard. Live Easy. - Go Media™ · Creativity at work! 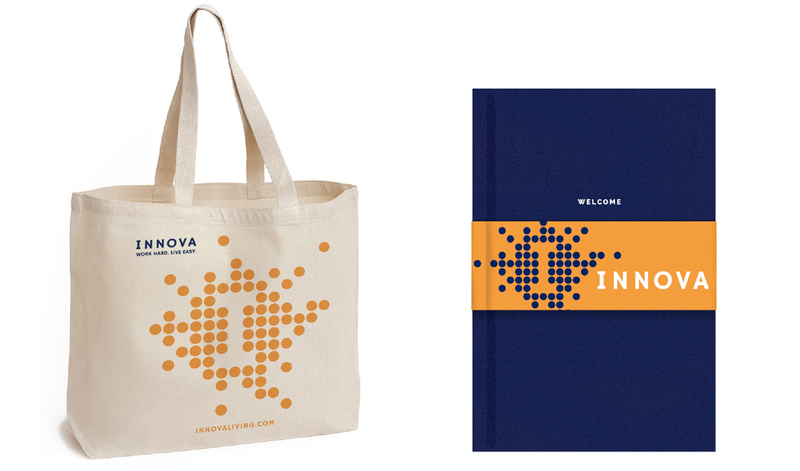 Home > Our Work > Graphic Design > Innova – Work Hard. Live Easy. The Finch Group sought Go Media to assist with brand development to help them establish a solid foundation on which to build their company in the Cleveland market as well as launch their new property. 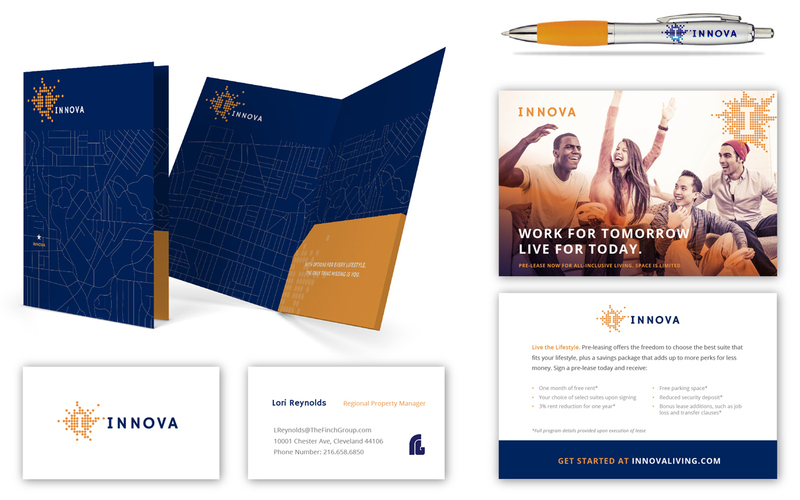 The newest addition to their portfolio is a 400,000 square foot multi-phase mixed income property in the Upper Chester Neighborhood of Hough – called Innova. The Finch Group was in need of assistance with brand development, logo design, collateral print material design, building signage, exterior marketing design and print marketing design.